Teresa Tinsley waited more than 30 years to see someone charged with her niece's death. But when John D. Miller entered the room Monday morning in Allen Superior Court, in handcuffs and led by sheriff's deputies, the image was too much. 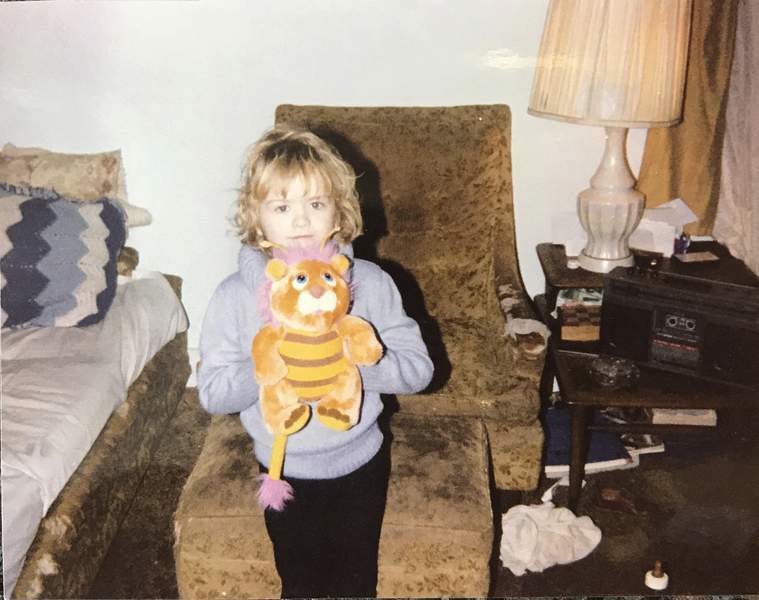 Tinsley cried as Miller – charged with murder in the abduction and killing of 8-year-old April Tinsley in 1988 – took his seat on the left side of the courtroom. Miller, 59, was arrested Sunday at his trailer home on Main Street in Grabill. He confessed to sexually assaulting April and strangling her in his home and dumping her body the next day in a ditch in DeKalb County, according to a probable cause affidavit. He is charged with murder, child molesting and criminal confinement. The scale of the crime and its notoriety was in contrast to the size and sound of its alleged perpetrator. Wearing ill-fitting jail-issued blue clothes and speaking softly, Miller told Allen Superior Court Magistrate David Zent he understands the preliminary charges against him. Prosecutors have until Thursday to file formal charges. For three decades, the case stumped investigators who continued to follow leads, analyze DNA samples and pore over evidence including notes taunting police that were scrawled on yellow lined paper on a barn door. The case was featured prominently on national news broadcasts and in local news coverage. “I kill 8 year old April M Tinsley did you find her other shoe haha I will kill again,” said the message carved into the barn door in 1990 at Schwartz Road and Indiana 37. April left her family's home on West Williams Street on April 1, 1988. Her body was found in the ditch, with one of her shoes nearby, three days later. Miller said he dumped her body April 2 and later drove by the site, according to a probable cause affidavit. When he didn't see the story broadcast on the news, he threw the girl's shoe in the ditch. Police used DNA taken from condoms recovered July 6 from outside Miller's home and in 2004 from three other locations to identify the alleged killer. Genealogy data also was used to narrow the search, police said. State police told local detectives July 9 DNA from the condoms matched DNA recovered in 2004 and samples taken from April's underwear in 1988. T. Neil Moore was Fort Wayne's police chief from 1988 to 1997. He said in an interview Monday detectives quickly assembled “a short list” of suspects after April was killed but investigators had little hard evidence to move forward with an arrest. Investigators with the Fort Wayne Police Department, the Allen County Sheriff's Department and the Indiana State Police have said recently that hundreds of names have been placed on suspect lists over the years. “The frustrating part (of the investigation) is to know you've got a short list and know your guy is probably on that list,” Moore said. He said Miller's name sounds familiar but couldn't say for sure whether the name was on the list in 1988. Current investigators and prosecutors have declined to comment. A news conference is scheduled for today. Tinsley, April's aunt, said the girl's parents – Michael and Janet Tinsley – are struggling with news of the arrest and details of the crime. Janet Tinsley wanted to attend the initial hearing Monday but decided against it, Teresa Tinsley said. “It's been a roller coaster ride for the mom and dad,” she said. Moore admitted questioning whether an arrest in the case might ever come, but he credited investigators for the dogged pursuit of evidence.